A Barnsley manufacturing company that exports its products to over 50 countries around the world is looking to double its workforce after entering new markets and securing contract wins. Xtraflex Ltd cuts and assembles bespoke hoses for customers in diverse sectors including the pharmaceutical, marine and automotive industries. Its flexible hosing is used in the manufacture of products such as cosmetics, chocolate and other food stuffs. Currently employing a team of nine, the company is looking to double that to 18 by the end of 2017. Turnover is also set to grow from £1.8 million to reach just over £2.3 million by the end of 2017. The company has achieved this growth through winning more export deals and moving in to the milk production market in the UK and Ireland. In the future, the company is looking to move to larger custom-built premises as it anticipates outgrowing their current 6000 sq ft premises at Fallbank Industrial Estate at Dodworth in Barnsley. Xtraflex has been provided with support and guidance in business matters and help in gaining accreditations by Enterprising Barnsley, the business development arm of Barnsley Council. Xtraflex exports to a total of 57 countries including Sweden, Spain, Canada, Australia and Singapore. The company exports 1,000 specialised safety hoses a month for the American fire brigade and also is ready to export 1.2 million metres of automotive hosing to the US and Mexico. The company has recently won a contract to supply a customer involved in milk-based production in the West Midlands and in Ireland. 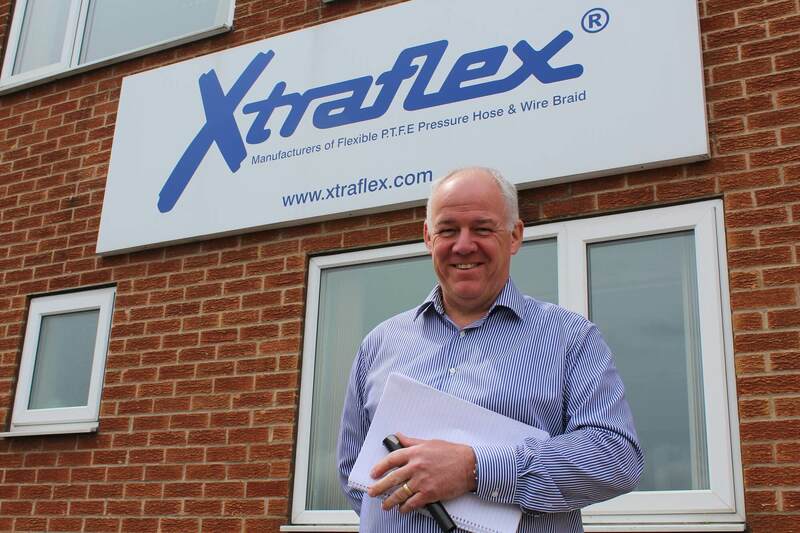 Managing director, Simon Cooper, said: “We’re currently experiencing very exciting times here at Xtraflex. We’re always looking to push ourselves and grow as a business and we’re in the process of growing bigger and better than we’ve ever been. Xtraflex was set up by its parent manufacturing company, Xtraflex NV, in Belgium. The two companies have recently implemented a system where they can work more in tandem, with a member of staff in Belgium being readily available online, live and acting as a member of staff for Xtraflex in Barnsley. One person who has benefited from the new system is graduate Nick Robins, who is currently working as sales office manager having just finished his degree in business admin. Nick is currently being taught different processes and regulations at Xtraflex via the ‘buddy system’ from the head office in Belgium. Andy Arnold, business development manager at Enterprising Barnsley, said: “Xtraflex have some really exciting things going on at the moment from product innovation to new contract wins, so watch this space in the next year or so. Attached photograph shows Simon Cooper, managing director of Xtraflex Ltd.
For more information about Xtraflex go to http://xtraflex.com/ or contact Simon Cooper on 07850 882324.